Ritu and Ananth had a beautiful weekend of events with friends and family from near and far celebrating their engagement. We started the weekend with them at the Tampa Garden Club before their guests arrived for portraits on bayshore. Their pink and ivory colors with the greenery and florals looked amazing! Ananth’s mom, Lakshmi, is an event planner and created this garden style decor with gold, ivory, and greenery. Their guests sipped mimosas and mingled in the garden with Ritu and Ananth greeting them. Inside there was a fabulous croissant station created by A Piece of Cake, and literally any kind of espresso and cappuccino by Cafe Ala Carte. Each of the tables were even named different, herbs, flowers and plants. Ananth’s parents and sister toasted to how excited and proud they are of this amazing couple, there was cake and then after brunch a classical sitar performance. Congratulations again Ritu and Ananth!! We’ll have more tomorrow of their session at the Hindu Temple. 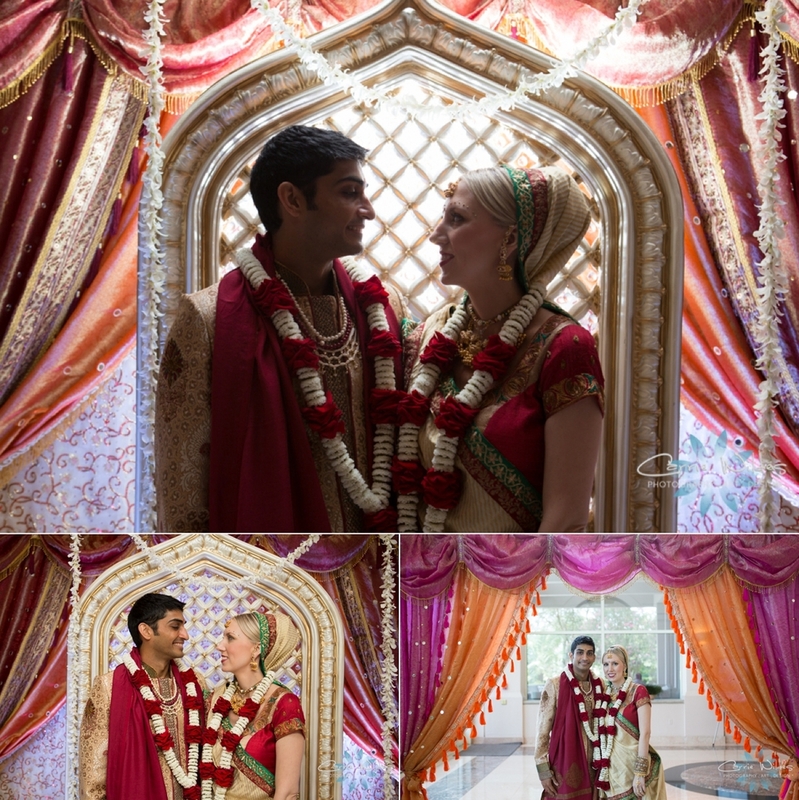 Lisa and Tushar combined both of their cultures with both an Indian and America ceremony. It was literally not possible for me to contain all the gorgeousness in only 1 blog posting so this is part oneJ Lisa looked absolutely breathtaking in the burgundy and gold sari Tushar’s mom brought her from India. We did a first look with them in the tea garden before all the festivities began. In Indian ceremonies the groom and his family are also busy getting ready and presenting gifts before the welcoming of them during the barat, Tushar actually entered on a horse with his niece led by singing and dancing. The bride has not yet entered yet at this point, but Lisa could watch all the activites going on from her suite overlooking the tea garden. After Lisa’s family welcomed him she was escorted in next by her 3 brothers. The ceremony starts with the bride and groom draping a floral garland on each other that shows their mutual agreement to proceed with the ceremony. They sat behind the sacred fire under draped and floral backdrop. As the ceremony went on the sunlight backlight the light smoke from the fire and it was beautiful. Just before the end of the ceremony, they take seven steps together that reiterate their aspirations as a married couple. It was beautiful. Their families congratulated the new Mr & Mrs and then it was time for an outfit change and the American ceremony and reception, which you’ll get to see in the next blog post! 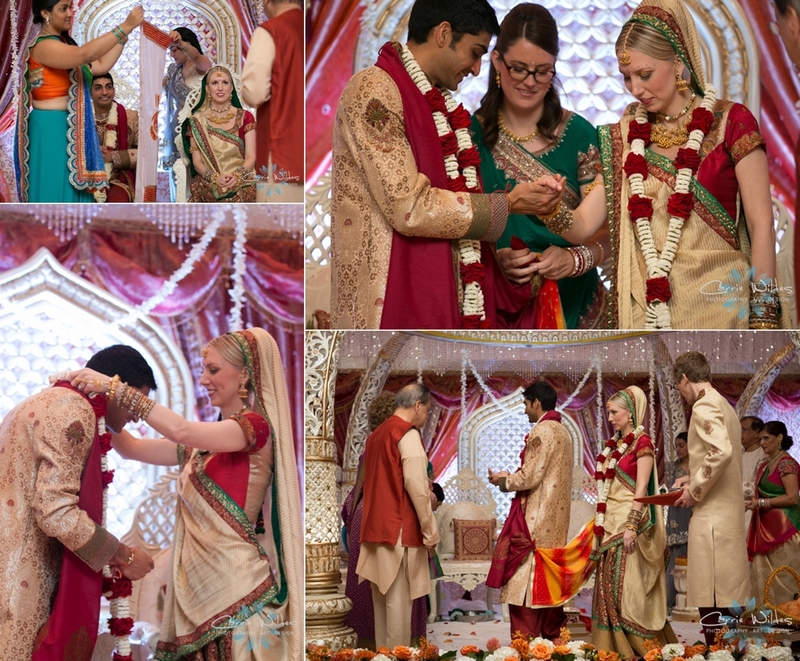 The Indian wedding blogs keep on loving Katie & Vish's awesome wedding!! Check it out on Big Indian Wedding!!! 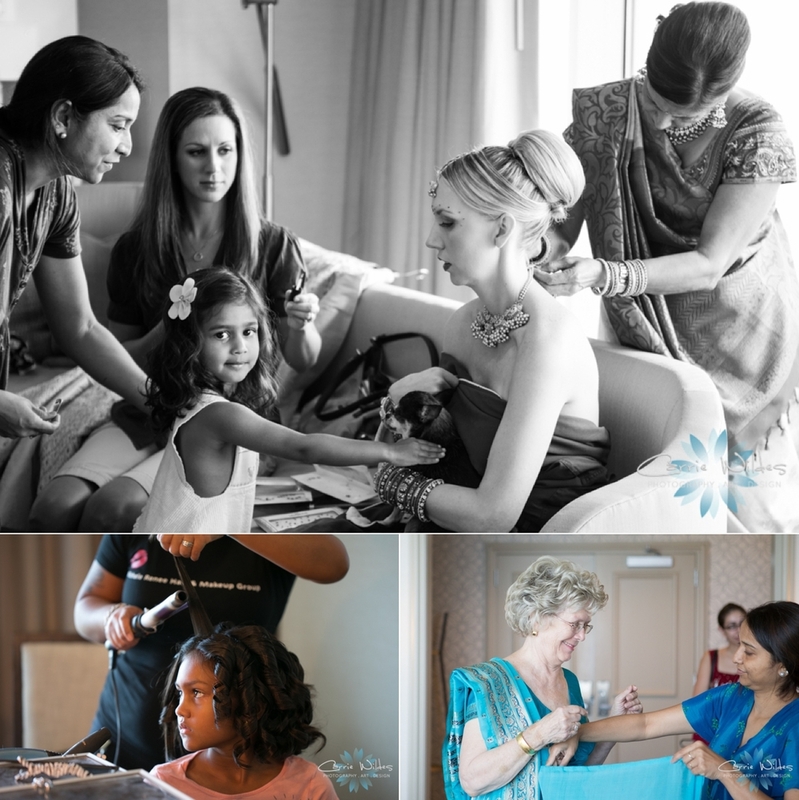 Katie & Vish's Indian and Christian wedding fabulosity (including their dog Peanut:-) was featured on Indian Wedding Site! Click below to see the whole feature! Nadia & Adil's wedding was the very first Pakistani wedding we photographed back in 2011 and it's still catching the attention of wedding blogs! The events, colors, florals, and beauty was amazing! Check out there feature here! Saturday mornings festivities started with getting ready with Katie and the girls and Vish and the guys. I love the deep, rich colors, jewelry and makeup that are involved. The Baraat is the arrival of the groom, and traditionally on an elephant or white horse. Well, when you have a Mazerati who needs a horse:-) Once Vish arrived, the Jaan is where Katie's family welcomes him before the ceremony. 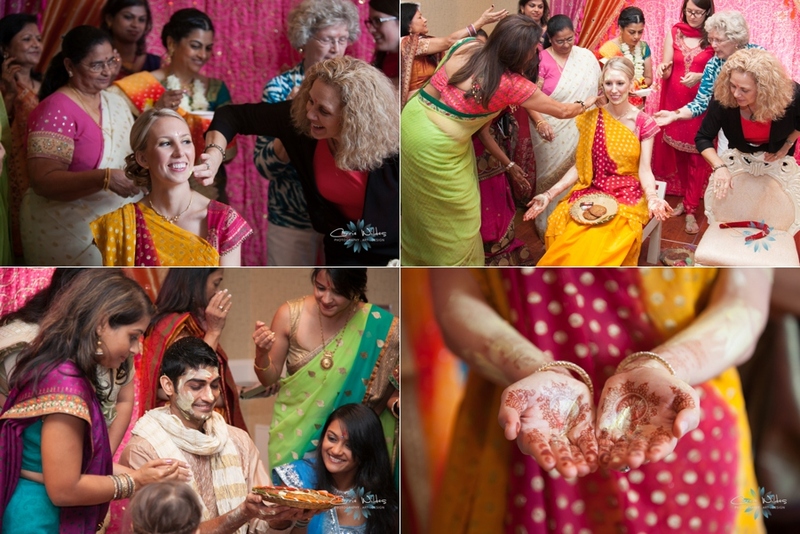 In Hindu weddings there are a lot of traditions that signify the importance of the marriage commitment. Their officiant did an amazing job of explaining what each of the elements signified, it was so interesting! Since Vish's family is Indian and Katie's family is America, we also did an entire American wedding that evening so that will be coming next!! Friday morning was the Vidhi, which is traditional religious rituals held on the day before the actual wedding. The bride and groom are prepared for the wedding ceremony and the family pray to ward off evil spirits from the wedding and to protect the couple in their married life together. One of the preparations the families cover the bride and groom's face, hands, and feet in a thick yellow turmeric paste intended not only to keep the evil spirits away but to enhance his skin color for the wedding ceremony. In the evening was the Garba, which is a celebration with beautiful colors and amazing dancing! Katie and Vish wore bold deep blue, red, and purple. Garba and raas are two types of traditional dance. Garba is danced in circles, while raas is danced in lines with a partner typically. Raas is also played with two sticks, known as dandiya. 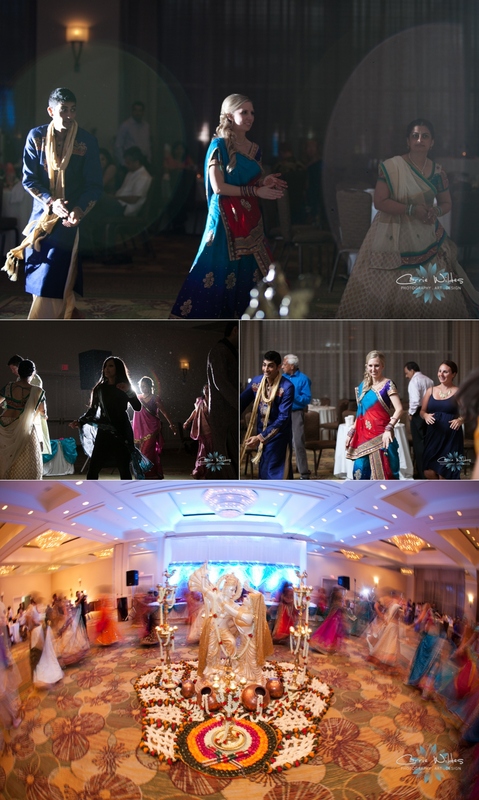 And dance they did:-) Our next set of sneaks will be the gorgeous Indian wedding ceremony. 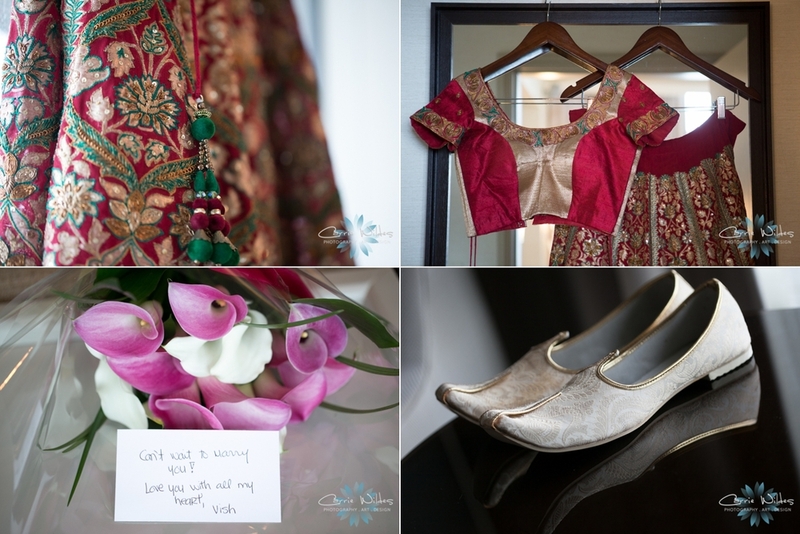 Anum and Eihab's 2 day wedding is featured on The Big Fat Indian Wedding Blog today! I aboslutely LOVE the story of Eihab's car and what we did with it so definitely check out the full story! Anum and Eihab's wedding celebration started out with the Mehndi party. You could feel the excitement when Eihab and his family entered, followed by Anum and her family. The girls prepared some amazing dances for everyone to enjoy. There were even two little aspiring dancers there:-) Pakistani weddings are one of my favorite types of weddings to capture, I love the goregous colorful attire, henna, delicious food, and dancing. It's all about celebrating with friends and family. Wait until you see their wedding the following day...stunning! More sneak peeks to come tomorrow! 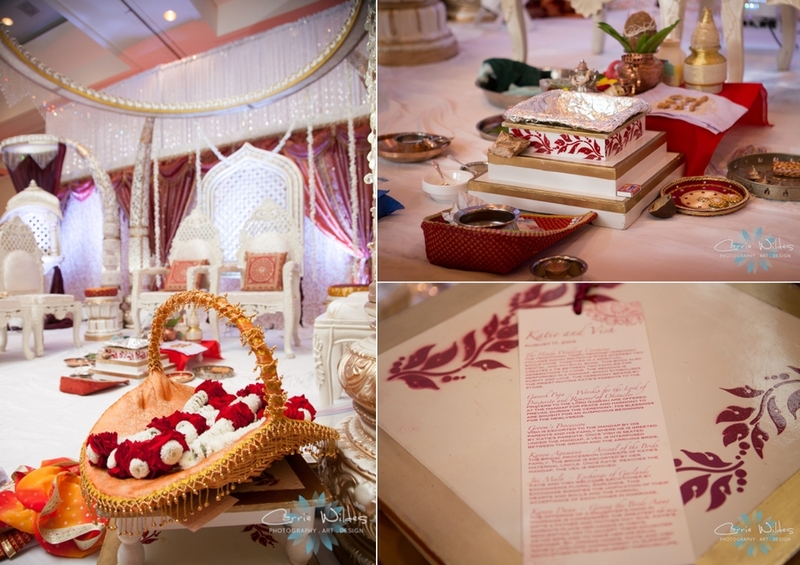 Nadia and Adil's wedding album turned out gorgeous!!! We designed a 10x13 metal cover, leather accent album for them and Nadia send me a great picture of it in her home and some great comments. Take a flip through! "I love the album! It has all of our favorite pictures in it and its so unique, compared to most albums we've seen. We've shown it to all our guests and it makes a great decor piece! The West Coast Nace Chapter's monthly meeting topic this month was Indian/Pakistani weddings and decor. We photographerd the details and decor for the host site, the Intercontinental in Tampa. This past year we have done several Indian/Pakistani engagments and weddings and the from the ceremony to the food to the details they are some of our favorite types of weddings to capture. This setup is a perfect example of the really colorful draping, floral patterns, and lounge furniture that is important to the Mehndi. The ballroom was much softer florals and decor with a lot of uplighting and more neutral colors, typical of the 2nd day of events. The cuisine is full of flavor and different texture and color as well! The second day of celebration for Nadia and Adil's wedding or Shaddi, is thrown by the bride's family for the groom's family and guests. Nadia and Adil saw each other for the first time in the gazebo overlooking the bay. We had some great time with just the two of them for some creative photography before the celebration began. Both families made a grand entrance into the ballroom that was decorated with pinks, golds, and crystals, and beautiful floral centerpieces. Very different from the previous evening during the Mendhi. They exchanged rings followed by some advice on marriage and blessings from their family members. One of my favorite traditions was where Nadia's sister steals Adil's shoes and he had to bargain with the ladies to get it back. At the very end of the evening the Rukshati is the exiting of the bride and groom with their families so the bride and groom can embark on a new life together. So many beautiful colors, textures, and the attire was gorgeous! Nadia and Adil's 3 day wedding celebration was amazing! The weekend started off with a ceremony at their home with friends and family followed by the Mehndi or Henna ceremony that evening. This festive event is filled with vibrant colors, loud music, and lots of food and dancing. Deep purple, pink, and gold draping, lighting, and cabanas with lounge furniture set the stage for what was to come. Their grand entrance kicked off the evening with Adil's side with the men followed by Nadia and the ladies. Their friends had prepared dances and skits for them and their guests to enjoy. The evening ended with the men exiting and the ladies continued to dance the night away. It was truly an amazing event to be a part of. The dancing and music took me to a totally different world and I hope you enjoy some of the moments we captured below. Day 2 was the Shaddi which I'll be blogging soon!